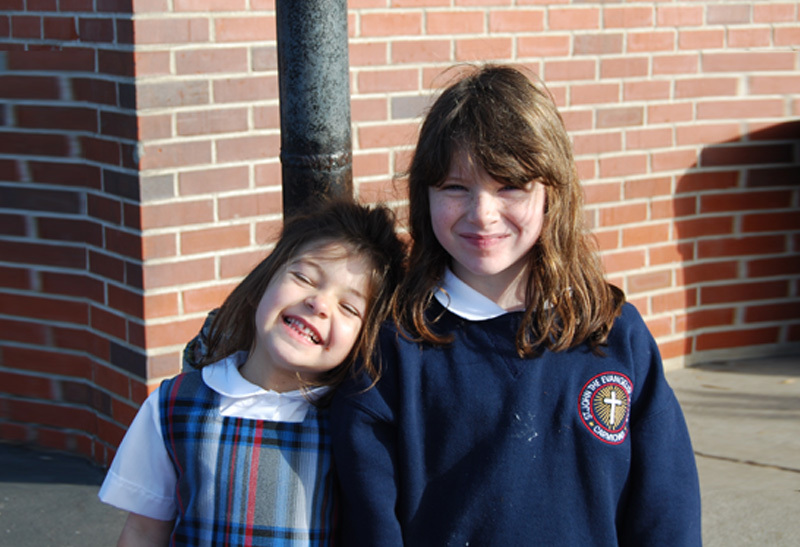 St. John the Evangelist Preschool is an educational ministry of St. John the Evangelist Church. 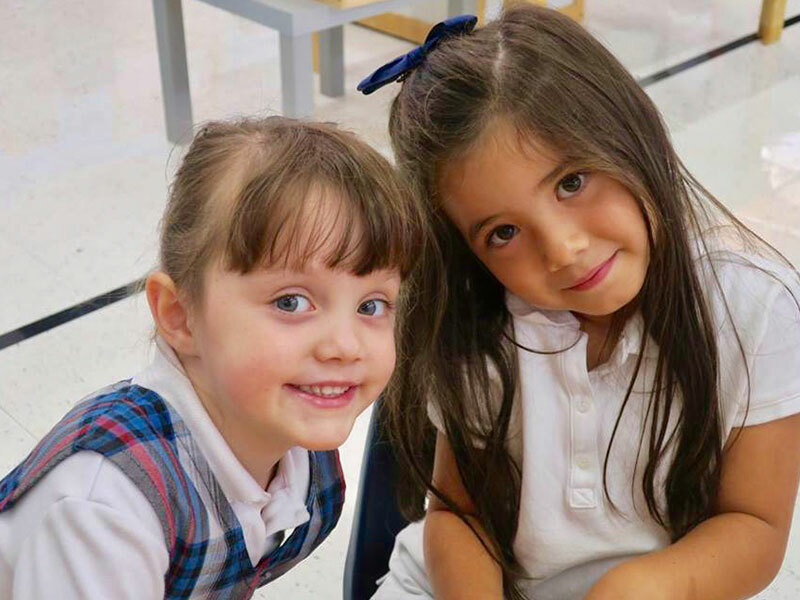 Our mission is to provide a quality early childhood education grounded in Catholic principles and values such as trust, forgiveness, love, obedience, and thankfulness. In an accepting and nurturing environment, we focus on developmentally-appropriate learning to encourage the growth of the whole child. We strive to instill in each child a lifelong love of learning and a respect for each person and all creation as gifts from God. providing religious instruction in accordance with the Catholic diocese and school policies. helping children understand the world around them through discovery. encouraging students to share and practice fair and safe play. teaching developmentally-appropriate instruction in pre-reading academics, physical and motor development, and communication skills. providing a consistent and nurturing, age-appropriate program that gives every child opportunities to explore, create, and express themselves. Ms. Maria has experience in Early Childhood Education for over 16 years. She has had the opportunity to work with children ages ranging from infants to preschool. She’s been a Preschool Director for over 4 years. She enjoys interacting with children and watch them grow and flourish. Ms. Maria joined SJE community in March 2016. Outside of work, she enjoys spending time with her family and 3 children. Ms. Belinda is a natural preschool teacher with an educational background in Early Childhood Education and Special Education. She is gentle, loving, and kind. Miss Sarah is an alumnus of SJE and loves to teach. She is fun, caring, and makes every child feel important. Children need to have clothing that allows them to move around freely. Each child will receive a St. John the Evangelist Preschool t-shirt when they register for school. The students may wear the preschool t-shirt with jeans, pants, shorts or skorts. There will be opportunities to buy uniforms at SJE uniform exchange days. We encourage children to wear aprons or smocks when doing messy activities, as preschool projects can get the clothes dirty. Children learn appropriate conversation skills and the pre-kindergarten (4's) students sign their own name every day. Also, all students find their photo and place it on our attendance board. Activities such as molding play dough and coloring develop fine motor skills. Imaginative play with the playhouse, dramatic play area and office area inspires creativity, interpersonal skills and linguistics. Children also learn how to interact with their peers and work with everyday objects. Building with blocks and train sets promote problem solving and develops mechanical and three dimensional perspectives. Flipping through picture books in the library promotes literacy, letter recognition, and encourages early reading. Puzzles, table games, and manipulatives develop many parts of the brain. Children develop classification, sorting, organizing, math, and spatial skills. Sensory table activities promote exploration, textural awareness, motor skills, scientific thinking, and many other cognitive skills needed for learning. Art and craft projects teach children how to follow directions, express themselves, and learn fine motor skills. Clean-up time teaches responsibility, team work, motor skills, and listening skills. During this time we sing and do finger plays that promote literacy, spatial skills, and coordination. We also focus on math, counting, weather, calendar, and the Bible story of the week. Children learn spatial awareness, listening skills, patience, taking turns, and raising their hand to speak. Although the children can use the restroom when needed, this designated time is given for using the bathroom. Outside play develops gross motor skills, fine motor skills, hand-eye coordination, and social skills. Basic movements and skills such as running, riding a tricycle, riding a scooter, climbing, jumping roping, swinging, and balancing are just a few things they practice during outside play. Eating together teaches about food groups, manners, social skills, fine motor skills, independence, and making healthy choices. We wash our hands before snack. We also pray every day and recognize our snack friend and our parent helper at this time. 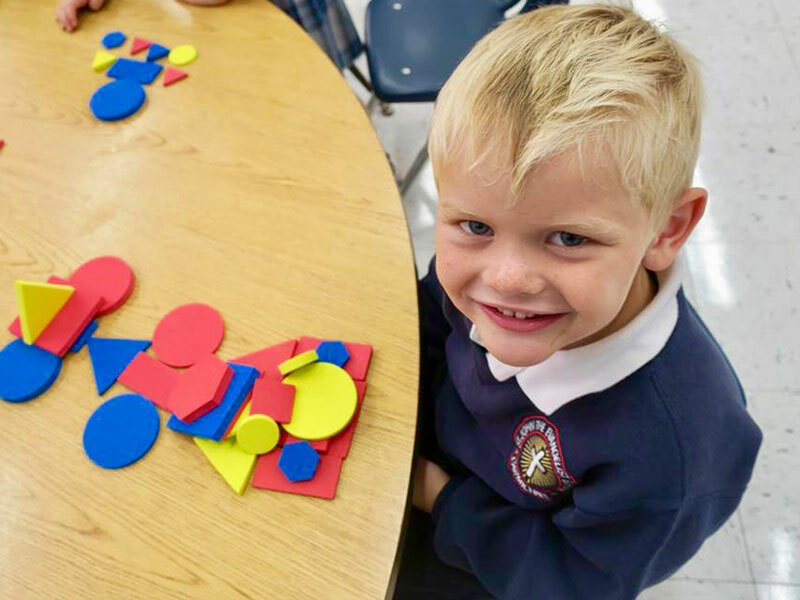 Group time curriculum covers a range of skills needed to enter kindergarten, such as beginning reading, writing, and math. Fine motor skills such as cutting are developed, and team work, socialization, and problem solving are enhanced. In particular, we spend time learning letter sounds, music and movement, and weekly cooking. Fine motor skills, cooperation, math and science skills, and cognitive growth are improved during cooking. Our weekly literacy schedule includes story and comprehension activities, letter writing, writing in our journals, and share time. Language development, letter recognition, writing, and listening skills are main focuses for this time of the day. We focus on one book per week that fits into our theme and one book based on the letter of the week. We read aloud daily before pick up to encourage a love of reading and to teach about a variety of topics. One child shares something from home using the Sharing backpack. Then the children in each sharing group read quietly from the theme books in the basket. Our tuition is a year-long tuition is broken down into 10 monthly payments. The following monthly rates are for a 10-month school year and are subject to change. Please call the office to confirm!